In the eighteenth century it was still possible to be knowledgeable in many branches of science. 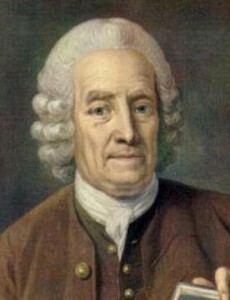 Thus an eminent scientist, such as Emanuel Swedenborg, was able to write books in various subjects including theoretical physics, physiology, and psychology. His scientific study was actually done in his spare time. Swedenborg’s day job, which he held for almost thirty years, was as an officer in the Swedish Royal College of Mining. He had already become highly respected in this profession owing to his published books containing a lot of information and original observations on the production of iron and copper. This scientist thus progressed from studying inorganic nature to organic nature. He went on to study spiritual nature. His desire was to empirically prove the immortality of the soul. This huge scientific effort was finally interrupted during a period of inner anguish after which he abandoned his scientific work and started interpreting religious scripture. During altered states of consciousness he said he experienced a hidden realm of spirit life. He resigned from his job in mining and devoted his life for the remaining twenty-five years to writing a series of books on scriptural exegesis, theology, spiritual philosophy and personal reports of what he claimed he had seen and heard in the spiritual world. Swedenborg printed his theological books abroad because the clergy of his own country Sweden opposed them. He had criticised a common Protestant idea of the eighteenth century that religious belief is what really matters: the idea — still around in some circles today — that “Go to church and have the right belief, and you will be saved.” He was only too aware of many church-going hypocrites. And so he strongly opposed this doctrine, known as ‘justification by faith alone’. Instead, he argued that spiritual development, requires a heartfelt desire to do the good that faith prescribes as well as putting this into useful practice in daily life. Thus in his writings, love is primary and belief is secondary: what one wants, and what one does as well as what one believes, are all crucially important. Swedenborg also gave what many of his followers think is a more rational alternative understanding of God as a Trinity. A mainstream Christian formulation of God is that of three persons in one from eternity: one of these (the Son) suffering on the cross as an atonement for the wrong-doing of mankind to appease the wrath of another (the Father). Instead, Swedenborg’s position is that God is one perfect divine human of which we each are an imperfect image. And so, like us, God has three dimensions of will, understanding and action. Trinity of person is a metaphor for these three essential aspects of the Divine. In God’s case, there is a compassionate will, a wise understanding and powerful action. Being the source of all loving compassion God wants to hurt no-one. In line with this idea, the human race imposes its own suffering. Swedenborg described how human beings live an afterlife each with a spirit body that corresponds to the nature of their inner character. Each live in their own community with like-minded people. This state of life is said to mirror so much how things appear on earth that those recently deceased do not easily realise they have physically died. He wrote about how contrary to appearance there is an inflow of inner things of heaven as well as corrupted things of hell into the natural dimension of life and how they are received by humanity determines which of these two influences predominate. As a person Swedenborg changed during his life-time. He became concerned to tackle his own inclination towards for example self-pride. As a mature man he was an affable, sincere and cheerful gentleman: not an egotist. He himself never ascribed any of his ideas to himself. Nevertheless, he felt he was a useful channel. One that provided, what many today recognise as, a fuller and more sensible understanding of religion, human destiny, and spiritual healing and growth. In his own life-time there were mixed opinions about the value of his ideas. Some critics were suspicious or opposed, others thought he suffered from misguided enthusiasm. However, others had an attitude of appreciation and even admiration. These days most theologians seem to agree Swedenborg was neither mentally ill nor an irrational mystic. However, an attack by a leading poet and critic Johan Kellgren hampered the reception of his books in Sweden. A scathing essay in 1766 by the philosopher Emmanuel Kant likewise affected them in Germany. The most vigorous early followers were in England many of whom formed a separate Christian denomination called the New Church. They in turn inspired congregations in the United States. Although not becoming adherents to his religious doctrines, several great writers such as August Strindberg and William Blake have read his works. These authors have been fascinated by his ideas which have been seen as elevating, improving and constructive. Amongst academics, Ralph Waldo Emerson made Swedenborg world-famous by electing him as one of his Representative Men in 1850. His writings appeal to a wider audience than that of the Christian faith. Charles Bonney, a reader of Swedenborg, recognised their universal relevance. For this reason he established the ecumenical World Parliament of Religions in 1893. A contemporary scholar of the history of literature, Anders Hallengren, has studied the influence of Swedenborg’s ideas on his followers in their activities abolishing slavery in the West Indies and liberating serfs in tsarist Russia. So why does the public consciousness not know Swedenborg? He wrote nearly all his voluminous works in Latin. Another reason is that, other than writing his books and publishing them at his own expense, he did not promote his ideas and unusual experiences. This scholar left it to his individual readers to privately make what they will from his writings. Previous Previous post: Beliefs of ancient Egypt about death?